Today I put a lot of thought into my intention in your honor. What does that mean? What does it mean to me? How do I intend to honor you? I honor you by playing with your sisters. I honor you by cleaning your grave and leaving fresh flowers. I honor you by speaking your name. I honor you by telling people I have four children. For this project, I found a picture that I had made earlier in the summer and as soon as I saw it, my intention was set. Amazing how that works. 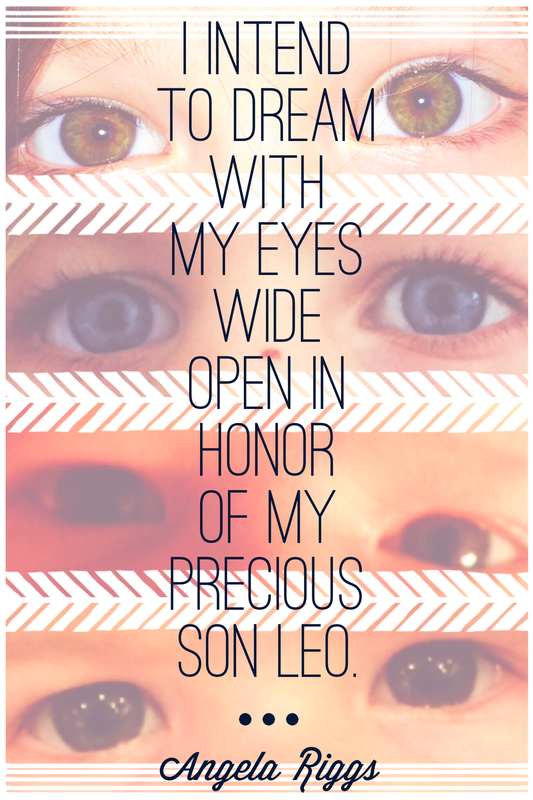 I intend to dream with my eyes wide open in your honor. I will dream for my daughters futures, I will dream for your dad’s future, and I will dream for my own future. I won’t just dream when I’m asleep, I’ll live…really live; for you, for me, and for my family.